Desigence helps it's customers to achieve innovation's margin and volume objectives. We study customer demand. We develop new and test new products and prepare documentation for production. We operate among various industries. We are nimble, humble and known for challenging existing notions, for our engineering expertise, user-centered design and ability to harness the newest technology. New methods, rich industry experience and over 2600 customer projects within 26 years are part of our quality solutions. Feel free to contact us. We'd like to hear about your challenges! >Desigence helps it's customers to achieve innovation's margin and volume objectives. It's seldom enough to just sell a product or service. Companies must truly engage with their customers. In fact, customer-centric product and service design has become a key source of competitive advantage. The return on investment (ROI) of design grows in line with customer loyalty, opening of new markets, increasing sales, shorter R&D processes, improved profitability and producibility. In collaboration with our clients we design new products & services. We can help you whether it is a question of a business case or we implement your readymade specification. Feel free to contact us. We’d like to hear your about your challenges! Since January 2018 Desigence offers additive manufacturing services through industrial scale 3D printing. Many industrial companies are happy with additive manufacturing technologies in small scale. Large scale 3D printing is less used as prints have been expensive. Fortunately there are new technologies that address critical customer needs: Big, Fast, Affordable. Got an invention or idea that is waiting to be picturized and evaluated? Need information on product pricing potential prior starting the actual R&D process? Our DISCOVERY service provides you with a quick concept image or service demo of the invention, helps in defining its unique features and discovers how your customers value them. We even outline applicable business and pricing models and give our expert recommendations for next steps. Product design is a team sport. Desigence has a team of creative experts with varying skill sets ready to help you. Our agile approach facilitates smooth, successful projects that create maximum value for our clients. Want to talk about driving growth with design? Or how professional creativity could be harnessed for your business? Us too. Explore our work and tap into our skills and thinking. World’s leading dental imaging company KaVo is known for its dental excellence. The latest showcase of our collaboration is KaVo orthopantomograph OP 3D. Our expertise: Solid understanding of the industry and user requirements gained in UX, ID, UI and mechanical design for over 15 years. Medical device offering advanced features for demanding specialists. Superior accuracy and downward measuring of supine patients. Our input: Developing product features via innovation workshops and labs. Cutting edge mechanics, usability and ID design. Elegant products to electrify all kinds of construction and renovation sites including switches, socket outlets, home automation and signal products. Our input: High-end consumer goods design. Innovative ID, UX and mechanics design. Durable and high-quality solutions with the highest energy-efficient heat isolation possible. Alfa and Beeta product families make it easy for customers to choose all doors and windows for their homes in one go. Our input: Design collaboration from strategy to design & ongoing product development. Armoured wheeled vehicles combine high payload capacity with the latest technology. Our effort: Intelligent innovation. Exploring and understanding user needs and extreme operating conditions. Sharp ID, mechanics, UI, ergonomics and graphics design. A novel method for the identification of variable lung malfunctions. Our Effort. ID design and GUI wireframe & concept. Young forest management with small size harvesters. Effectively connecting the contractors with forest owners. Our input: Business design by figuring out sound value chain & communications design. Virtual Reality (VR) apps are immersive and memorable. Companies are presently using VR apps for a wide variety of sales and marketing initiatives. We have the tools and a team of skilled VR professionals to help you e.g. with product launches and sales training using VR apps. An user-friendly medical device that assesses the functioning of the whole visual system – from the eye to the visual processing in the brain – including the efficacy of the eye movements. Our delivery: ID and mechanical design of large injection moulded components. Virtual Reality (VR) apps create emotionally impactful experiences. Our enthusiastic VR team can develop full-featured VR apps for powerful but cost-effective prototyping, product presentations and user research purposes. Virtual Reality (VR) apps are immersive and memorable. Companies are presently using VR apps for R&D. You can now make a virtual prototype before you order a Steel one. This is what Pickdelso did. 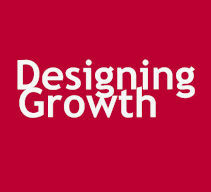 We believe that growth can be driven by design. Virtual Reality apps help companies to combine an outstanding consumer experience with superb product or service design, thus bringing forth completely new ways to create value. The simulator provides an authentic training environment for all firing procedures enabled by Patria Nemo vehicle. Our delivery: Intelligent innovation. Applying new materials and production technologies. Design of heavy-duty aluminium boat concepts. Cabin space and ergonomics, hull's look & feel as well as deck accessories. Our strengths: Rapid understanding the aluminium boat technology, users, market and boat building industry. A castor with electric control system, designed for equipment that require central locking. The locking and releasing of the wheels can easily be controlled by a control panel or a hand control. The patented castor provides superior ergonomics and safety. Our input: Framing business opportunities & RedDot ID. A multi-function full face mask provides unrivalled comfort and protection against a wide variety of respiratory hazards. Our Role: Leveraging our M95 respirator's design experience for commercial segment product. An ideal contemporary data collection tool. Designed for quick, accurate and reliable data collection: barcode reading, short-range RFID reading and heavy-duty RFID inventory. Our niches: Concept design for a handheld smartphone accessory for modern warehouse management & logistics. One-of-a-kind hanger for coats, shirts, pants and all kinds of clothes. Used all over the world at homes, offices and in public spaces. Has been on market over 20 years. Our input: Forward thinking & challenging existing notions. Introducing transparent colours and light form. Nexstim Plc is a medical technology company aiming to improve rehabilitation for stroke patients through the use of non-invasive brain stimulation. Our role: professional creation of an PC GUI concept following carefully IEC 62366 standard. The all-in-one exercise solution brings quality training to places never before possible. Over 20 exercises, biomechancial properties, smooth function, striking design and small size. AIO outperforms any professional equipment. Our strengths: From concept creation design. Wiring accessories that are easy to install and reliable to use. Jussi products combine a timeless design with a wide product range. Our expertice: Painting a picture of the target user. Co-Building growth. 35 % less parts, higher profit margins – high design ROI. A hand instrument with thick silicone handle. A unique combination of ergonomic design and integrated new technology. Our input: Diving deep to understand the users, dental clinicians and professionals. Our work was based on a study of work ergonimics by the Finnish Institute of Occupational Health. IP 21 and IP 65 plastics enclosure mechanics design & documentation for latest ABB drives low voltage product family. Our input: Advanced mechanics and meticulous documenting of the work. A versatile tool for busy labs. Can be configured according to needs, and upgraded when research focus changes. Our input: Product design with elegance and efficiency in mind. Industrial design of sheet metal cabinets. Several different applications in telecom and power electronics. Our input: Providing reliable, branded sheet metal products. A completely non-toxic and perfectly mouldable & remouldable cast material suitable for all casting work. It is made from wood and biodegradable plastic. Pretty neat, huh? Our input: User-centered design. Producing product specifications & designing POC products. A controlled intelligent ventilation system that enables high-quality indoor air for everyone, regardless of the housing type. You can now improve indoor air by conducting a window renovation. Our delivery: As team member challenging existing notions. User-centered design. Innovative mechanics design. Walk trough magic! Plug & play feature, compact body design, sharp image and virtually drip-free characteristics – a screen that creates an unforgettable experience. Our input: Harnessing the technology. Improved producibility and projection quality. A user-friendly invoice to reduce the amount of telephone calls to the customer service center. Our expretise: Service design methodology, user segmentation, customer insight, invoice re-design. These world-famous consumer products combine years of artisan knife making and today's modern technologies with carefully chosen materials to create knives that exceed uncompromising standards. Our effort: Smart product engineering & agile prototyping resulting in functional and producable products. Heavy duty design. Mechanical engineering of welded steel structures for exhibition stands, according TÜV standards. Welded prototoype hatches for demanding environments. User driven approach, opportunities of new technologies and well defined value model are key elements of succesfull product. That's the way how we can create growth by design. Want to talk about driving growth with design? Get in touch, we look forward to hearing from you. A FDA-approved device designed for home use for glaucoma patients or suspects, who need regular IOP monitoring by ophthalmologists recommendation. Our input: As a team member, creating the optimal experience for the people using the product or service. WHAT ARE ELEMENTS OF VALUE IN YOUR BUSINESS? Harvard Business Review’s article illustrates the value pyramid that help you when you plan new offering. When you want to create new. Read article, consult Watson and ignite design! Advanced digital image processing that can be adjusted easily according to the dentist’s diagnostic preferences. Our input: Modern design combined with ideal user experience of a product. Strategyzer; Business Modelling Canvas, Strategyzer; Value Proposition Design, Elisa Suora, Survey Monkey, Focus Groups, Design ROI analysis, Basecamp project management software, Desigences's own workshop & development tools, Apple & Microsoft products, Tobii eyetracking, Alias, Solid Works, Creo, 3DS Max, Adobe Cloud tools, Unity, HTC Vive, Stratasys Maker Bot, Meber, Titan, Kity, Weller, Briko, Löwer, Mastech, Flir A655sc (640 x 480) 45 deg Lens, Research IR MAX - software license.